To the apex of technology and beyond. The Transapex domain was registered in 2004 to offer services in Information Technology, primarily in hardware, networking and security for business systems. Other services were offered in the preparation of technical and other literature in the English language. This extended to assistance with the development of web sites especially those with a content requiring attention to technical accuracy when describing products. A separate Transapex Webcom website has been developed to provide more details of these services and explore some of the interesting technical aspects and issues that emerge from this ever-expanding technology. 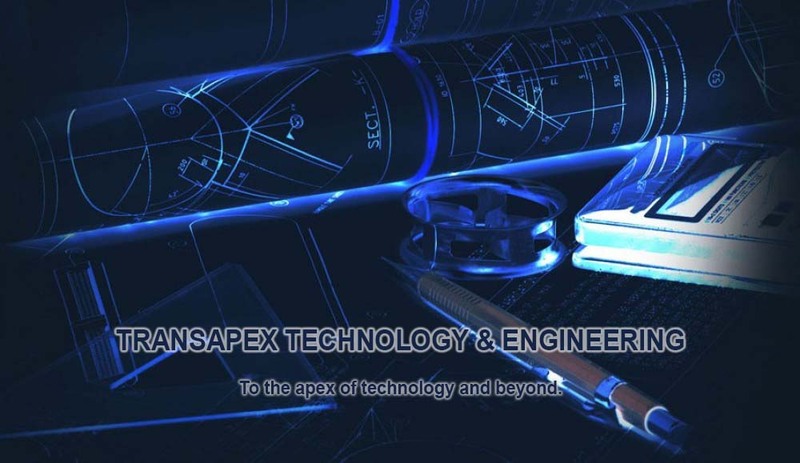 In 2010, engineering consulting services were offered by Transapex Technology and Engineering in the design and production of industrial products made from composite materials and high-performance plastics including thermosetting and thermoplastic polymers. Other industrial products include those made from high-performance thermoplastic polymers. Expertise based on decades of experience is available on the choice of the best materials to meet specific physical and chemical conditions. The products considered include pressure vessels and piping. Large tanks and other structures can be checked for their ability to resist wind and seismic loadings. Large diameter pipe can be designed for various installation and burial conditions. Designs can be made to satisfy American, European or ISO standards. To brighten up our web site and illustrate the advances in technology and engineering, we also include some pages on unrelated topics. These include the some of the earliest feats of engineering and some of the outstanding technological achievements of our time. This was written by von Szőllőskislaki Kármán Tódor, perhaps better known as Theodore von Kármán in the USA, where he was the first person to be awarded the National Medal for Science in 1963. All photographs and content, not otherwise designated, copyright © 2010-2019 Transapex Technology & Engineering. All rights reserved. Site last updated 2018-12-05 @ 13:16; this page last updated 2018-10-07 @ 14:09.